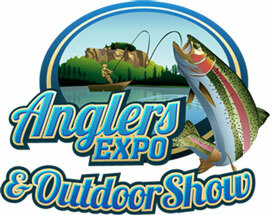 Heber Springs, Arkansas is the site of the Annual Angling Expo April 1st and 2nd. The Rotary Club of Cleburne County Arkansas will host the Annual expo and outdoors show. Featured will be a large variety of vendors, special events, and displays of fishing, hunting, camping, and general outdoor activities. Members of the Southern Trout family will be there manning a booth and enjoying the fun. Below Sugarloaf Mountain in Heber Springs is the beginning of the Little Red River. The “Little Red”, as it is often called, is one of the cleanest and most scenic rivers in America and offers excellent fly-fishing. The cold and clean water is home to huge Rainbow and Brown Trout. In 1992, the river produced the WORLD RECORD brown trout (40 pounds, 4 ounces). This record stood until 2009. Brown trout from 8-10 pounds are common and a new world record is always possible. The weekend is broken down into five skill-building sessions and participants will rotate through each session. In the stream ecology session, participants will search for aquatic organisms using nets and kick seines to understand what type of flies work best for trout fishing. They will learn how to tie flies that mimic the organisms they find — "matching the hatch." In the basic equipment session, participants will learn about proper waders, wading shoes, vests and other items that make fishing fun. Other sessions include knot tying, fly casting and lure presentation. Experienced instructors will demonstrate basic casting techniques and offer one-on-one instruction. On Sunday morning, participants will practice their newfound skills with a guided fishing trip on the North Fork Mills River.